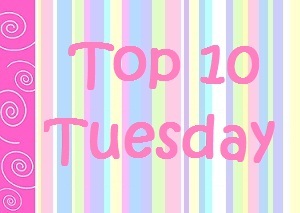 Top Ten Books I Want to Reread - My Life Is A Fairytale That Will Never End. OMG, this is one of my favourites books EVER!! I loved it every minute of it. And I would die to have a chance to reread it again for the first time. The first time is always the best one. I reread it, um, I think 10 times or more. I fell in love with this book, even if the end is so so sad. The conversation with Rose and Lissa, in the end, is one of my best parts ever from the whole series. This book is AMAZING. I remember I've been waiting for it, um like a week. And I've thought I would die. I couldn't wait anymore. The end of the third book was so heart breaking and I wanted to read this one as soon as I could. And let me tell you OMG this book had freak me out so much!! I was at this Bar the whole day reading. I turned off my phone. I didn't give a damn for the whole world. Just me and Rose. It was incredible. I haven't eaten, just drinking coffee all day long. I was THAT into it. And I've been reading the whole night, and in the morning I just put clothes on and went again in the bar reading. I loved it so much. I've been so nervous, I've been crying so hard. I would give the world so I could reread it like the first time. This book was my favourite on of the whole series. OMG so so good. I wish I could reread it for the first time again and again. I loved this book. It was my favourite one from the series and I would love to reread it again. I loved this one. The beginning was the best. Meeting Dorian and saving Jasmin was great. I loved it so much the first time that Seth and Georgina meet. I was laughing so hard. The love triangle. The battle. Unpredictable. Awesome. OMG, I still remember the first time I've read it. I was crying so hard. And the run for saving Edward OMG it was the best. Ok, the wedding and everything was so beautiful. And the battle with the Vultoris was amazing. The part when Bella said goodbye to Renesmee was so heartbreaking, I was crying so so much. Awesome. I loved it. This book was so so funny and I loved it. Until the end, you don't know how it will finish. Well, I've been waiting for this book for like 3 months. So yeah, I did like a lot. The puzzle comes together and the ending is pretty cool. I would love to reread it like the first time.